Canoeing and sport kayaking in the Pas-de-Calais is not an illusion. Put on your lifejacket and get ready to make a splash. You don’t always need your legs to move you forward. At Beaurainville, near Montreuil-sur-Mer, we move with nothing more than the strength of our arms. Head for the Valley of the Canche, where you can glide down 20 km of river in a canoe or a kayak. A full day’s nature outing, or an initiation for children from 7 years old, all formulas are possible, with monitoring adapted to ability. Of course, you can’t avoid getting wet but that’s part of the fun. Have you heard of stand-up Paddleboarding? 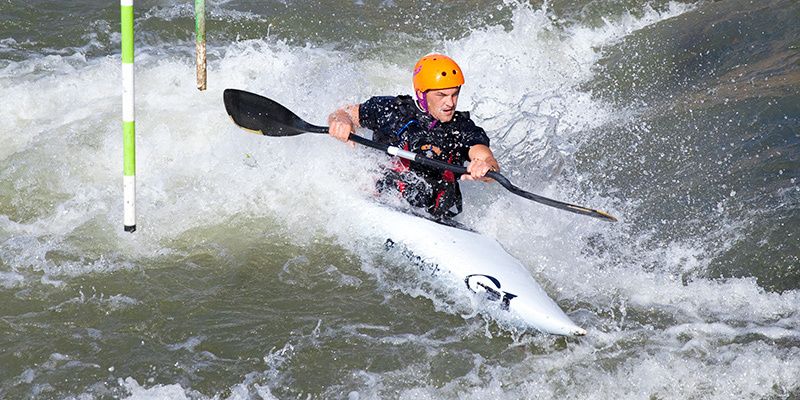 You pull yourself forward on a board with a large paddle; or for a real adrenalin rush, try Riverboarding.